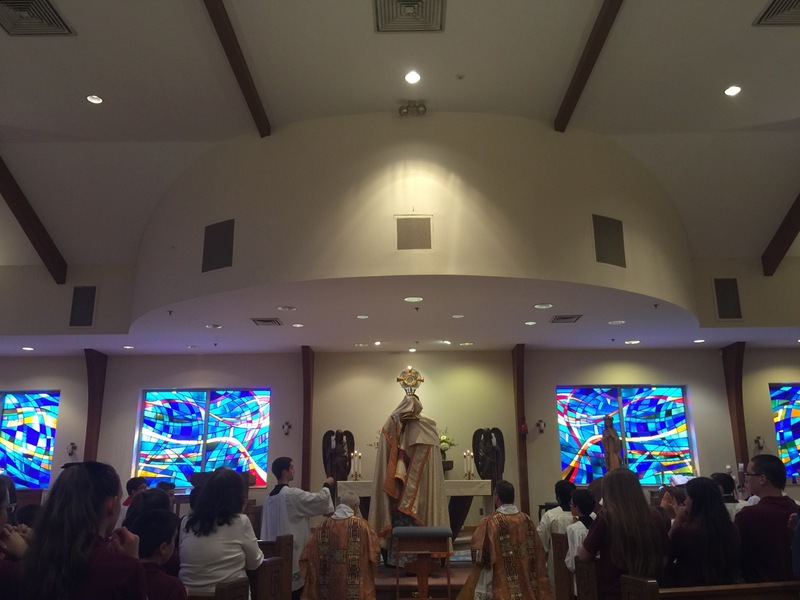 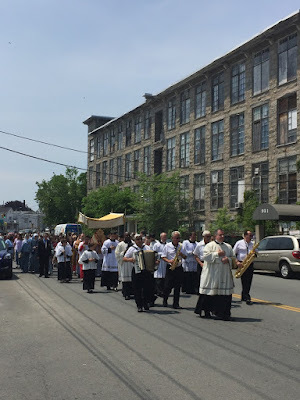 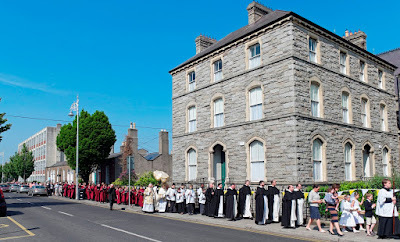 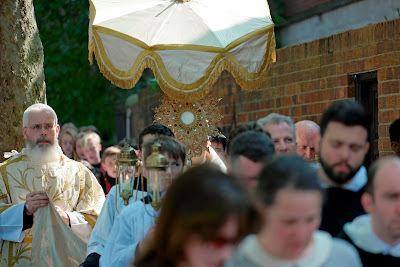 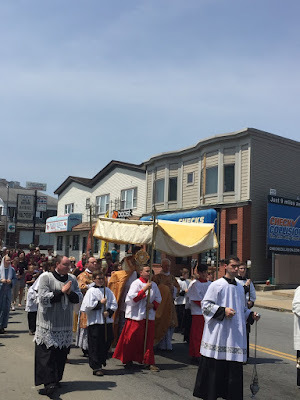 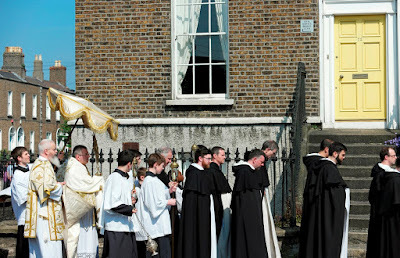 For the third year in a row, we received a bumper crop of submissions for our Corpus Christi photopost, enough to make at least three; they are posted in the order received, so if don’t see yours here, check back over the next couple of days. 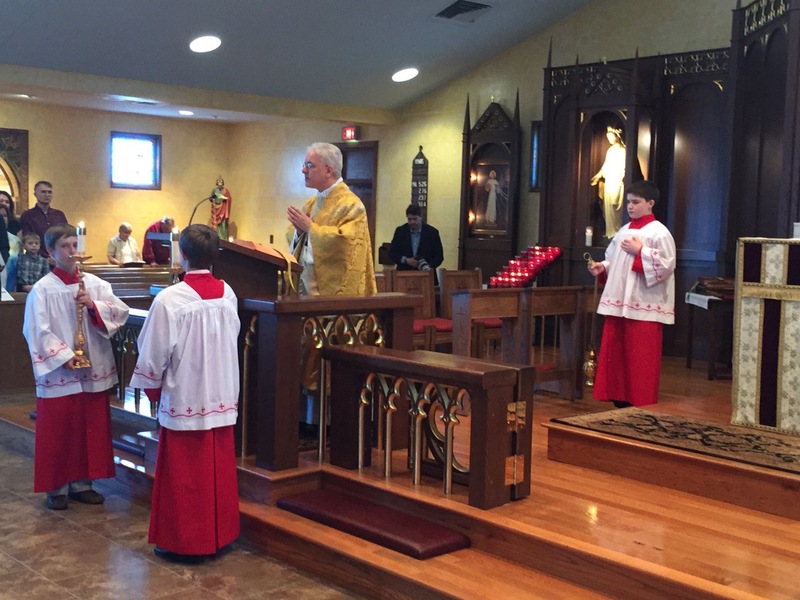 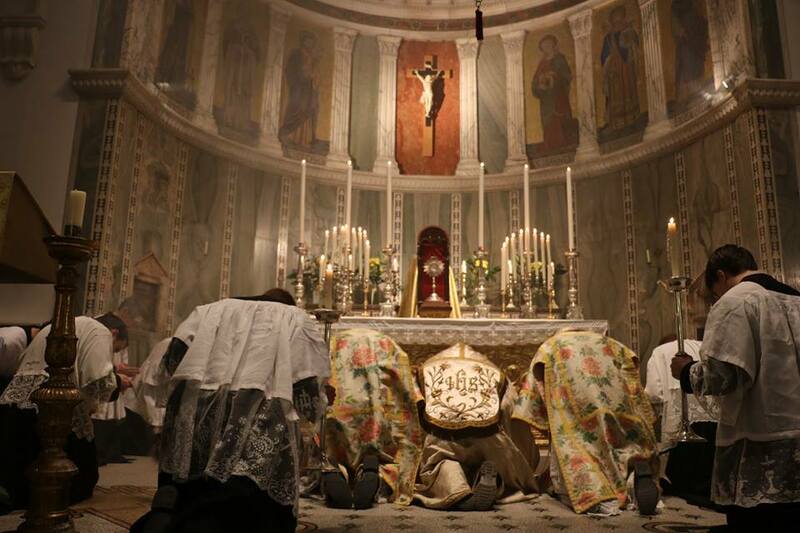 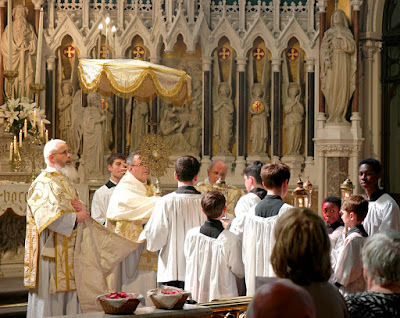 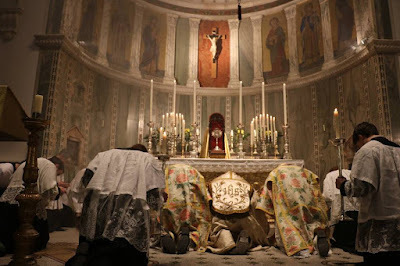 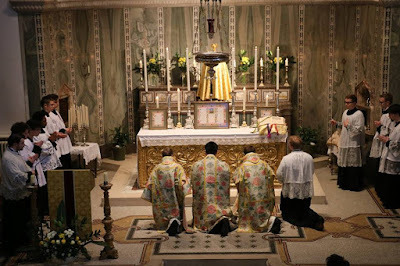 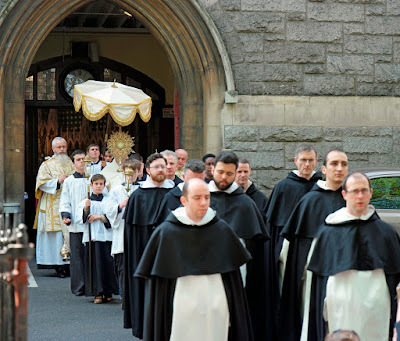 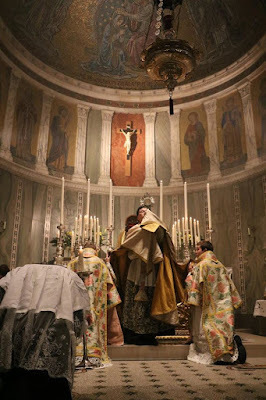 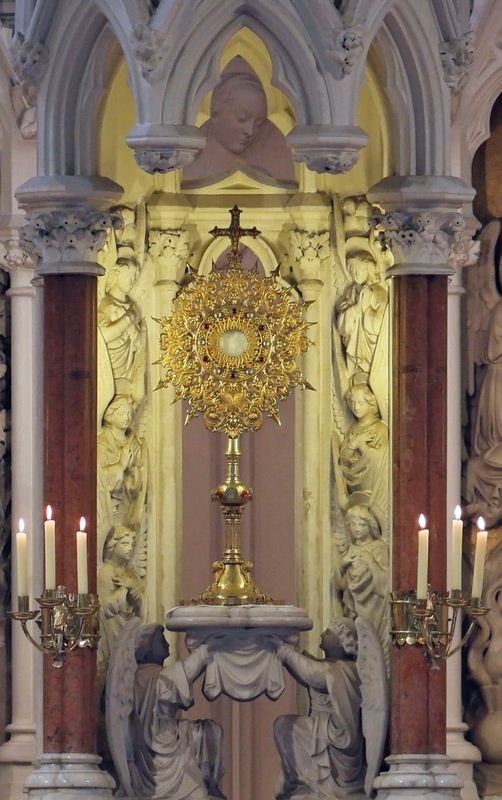 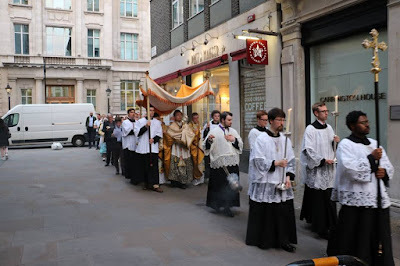 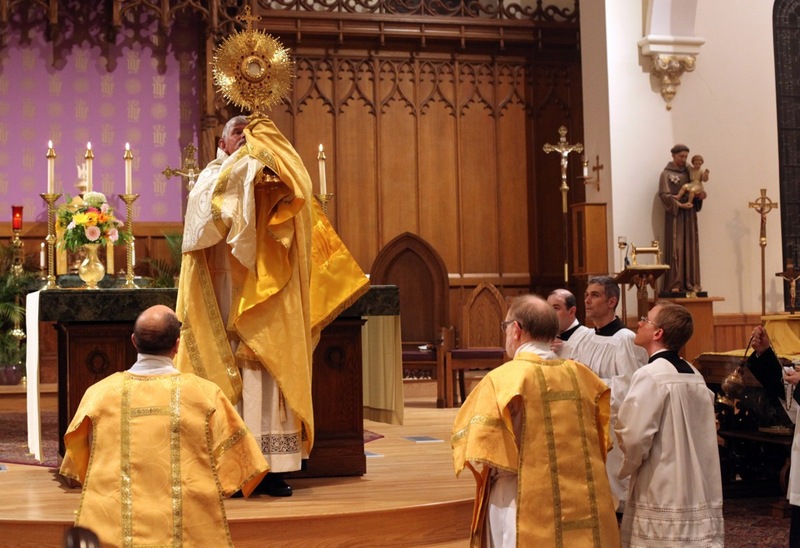 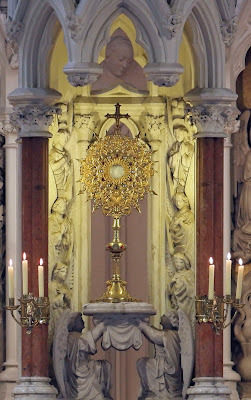 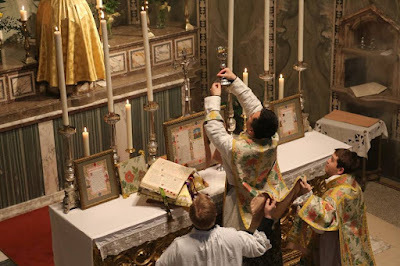 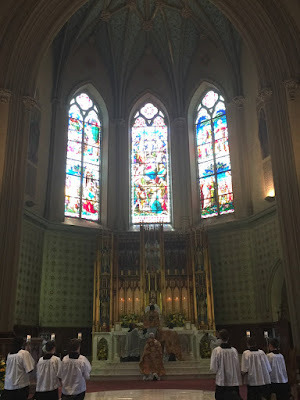 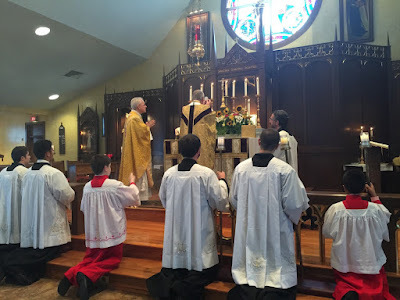 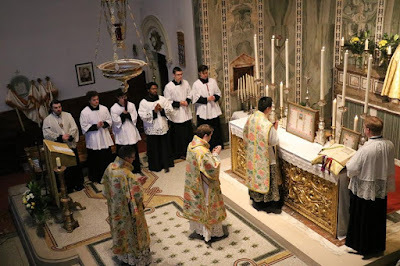 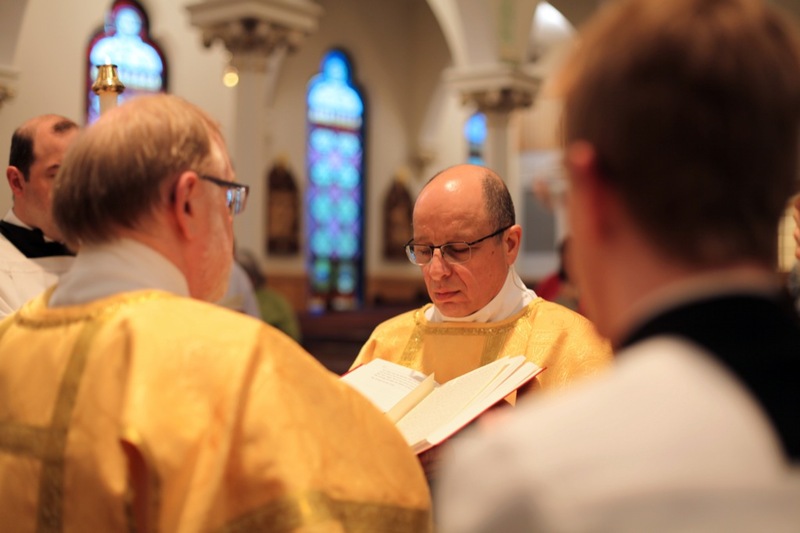 As always, we are very grateful to all those who contribute to our efforts to promote the best of our liturgical tradition, especially on this most solemn and most Catholic of feasts. 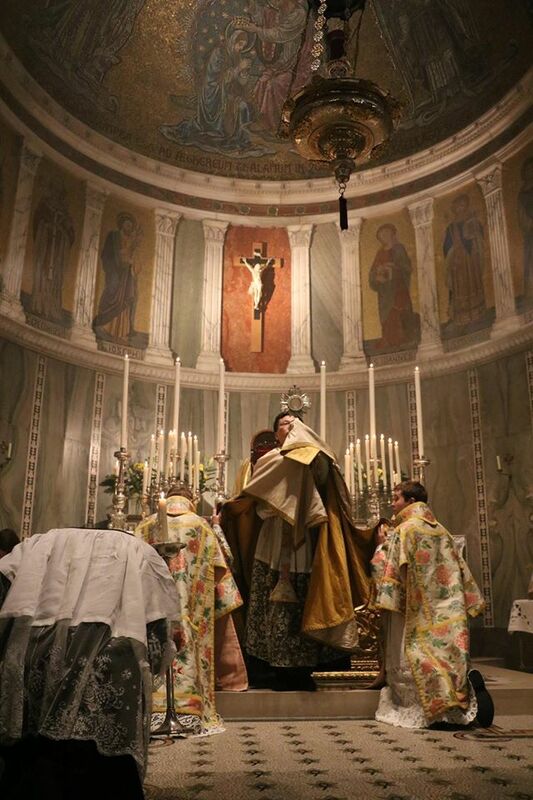 Feliciter! 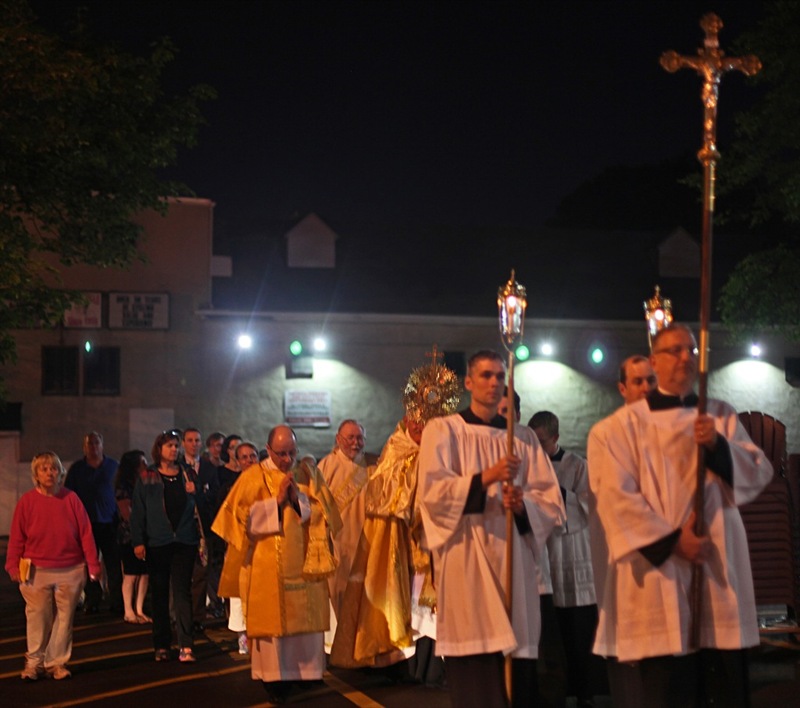 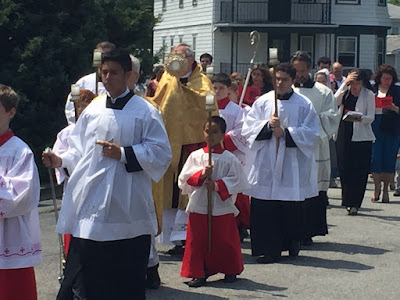 St Gregory the Great Church, a community of the Personal Ordinariate of the Chair of St Peter, celebrated Corpus Christi at St Patrick Church in Stoneham, Massachusetts with a Solemn High Mass according to Divine Worship: The Missal, followed by a Eucharistic Procession through the neighborhood and Benediction. 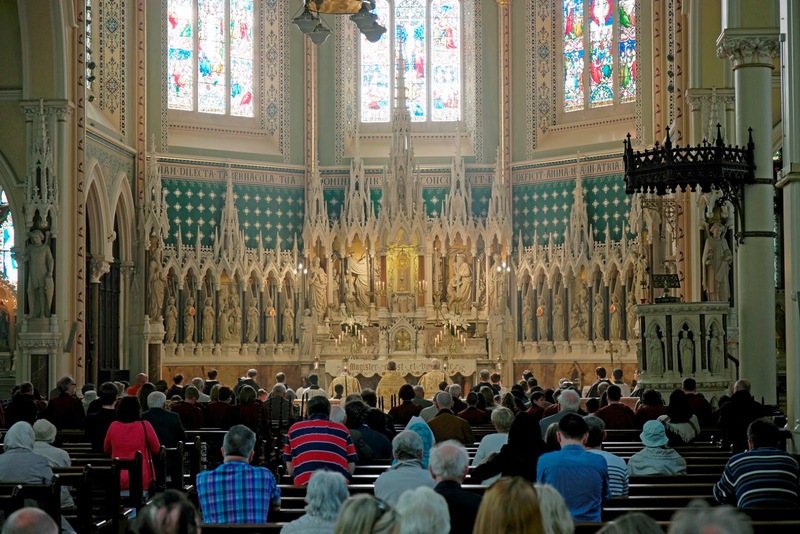 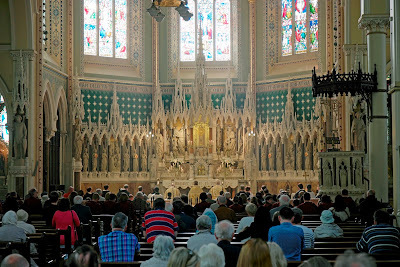 Note that in the first photo, the Gospel is sung from the midst of the congregation, in accord with a custom of the Anglican Church specifically authorized for use in DWM Masses.